One month after a courthouse shooting in Cook County, several courthouses around the state have either added security or are considering doing so. Since the shooting - which injured a prosecutor, a trial witness and a bailiff - safety is of mind for the people who work in those buildings. Still, some say they haven't seen many changes. For years, Kandiyohi County's courthouse has used a metal detector and a correctional officer to secure the front door. 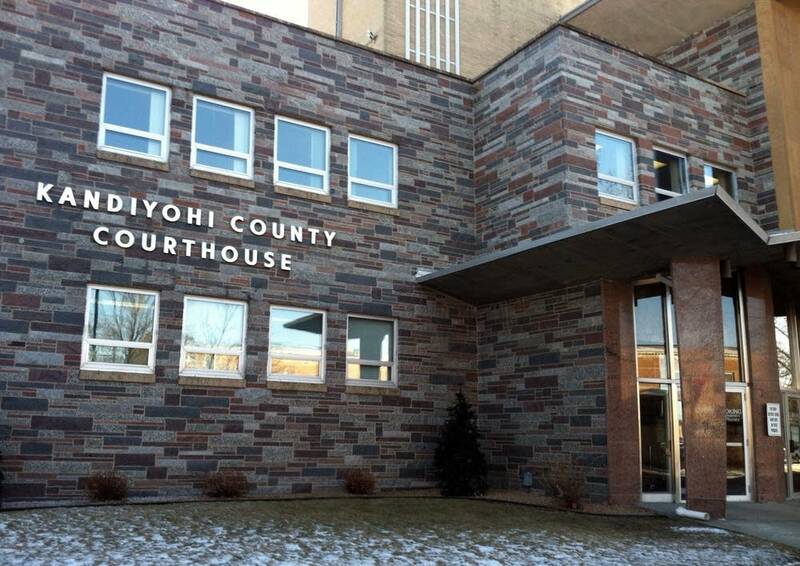 The county is in the process of improving security and will add another booth, said Kandiyohi County Sheriff Dan Hartog. He points out an area off to one the side of the metal detector where a sheriff's deputy will soon sit. That plan was already in development before last month's incident at the Cook County courthouse, Hartog said. "We put a priority on it, Hartog said. "Just knowing what can happen in the courthouse, the different situations and just making sure that people are safe over here." At least half the counties in the state are reviewing security policies and looking to expand courthouse safety. Courthouse security is the responsibility of sheriffs, and it varies widely from county to county. 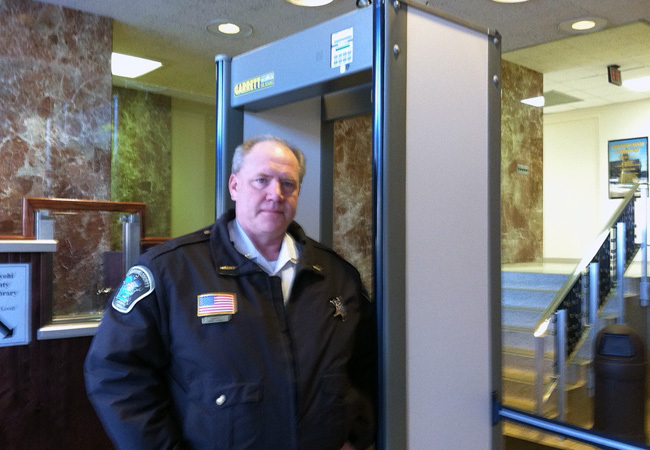 According to an analysis by MPR News of 51 of the state's counties, 35 have metal detectors in their courthouses. Of those that do, many only use them for high profile cases. It's an issue of cost for many departments, said Jim Franklin, executive director of the Minnesota Sheriff's Association. "We don't have the resources and we don't have the manpower to set up screening at every single location, every single day and screen every single person who goes through," Franklin said. Lacking resources was at least one reason given for why the courthouse in Cook County didn't have a metal detector. The cost of a typical walk-through metal detector ranges from $4,000 to $7,000. Last April, Franklin's agency started a training program for law enforcement and courthouse administration to assess high risk cases that might pose security concerns. "What we have done is try to teach and look at risk management," Franklin said. "What kinds of cases are likely to come up that could create these problems?" For example, a trial or hearing for a violent or well-documented perpetrator may require additional courthouse security. Several counties say they're using that type of security strategy. And while that could increase safety in a cost-effective way, there are those who want to see immediate results. "I haven't seen any heightened security at all," said attorney John Baker. Since the shooting last month, Baker has worked in courthouses in Walker and Winona. Both say they have metal detectors, but only use them on a case-by-case basis. Baker said he did not see metal detectors in use and observed few security officers. "It absolutely flabbergasts me the lack of security and the lack of training and situational awareness that we have in our court system in Minnesota," Baker said. "It's beyond me that you can even drive underneath the courthouse in downtown Minneapolis." Sarah Walker is the chief operating officer of 180Degrees, a nonprofit that does work in human services and corrections. She's spent the last seven years going in and out of courthouses, mostly in the Twin Cities, where she says security seems pretty good. She expects nothing less. "I understand that the court systems... are strapped for money," Walker said. "But it's just a reminder though that while our system is overburdened, you can't forget the fact that their core function is public safety and the people who are going in and out of the courts and are serving the public need to be protected." As for security at the Cook County courthouse, both the county attorney and sheriff's office will attend a risk management training session in February. The shooting is still under investigation by the Bureau of Criminal Apprehension, which plans to present their finding to the US Attorney's Office next month. Elizabeth Dunbar contributed to this report.